It's very different to work with but a nice experience. I will have to practice some more but It's a new challenge for me. Here's my tile for this week. For the red accents I first colored with the white charcoal pencil and then colored with the red micron over the white. I love this weeks template ! Mooi met dat wit op zwart en die roodaccenten. Net vlinders die fladderen in het licht! How effectively looks zendala "in the negative"! Very beautiful! Mariet, I love what you have done with the black tiles! I am glad you are enjoying them. I love how this tile is detailed and simple at the same time. Your flower shapes remind me of butterflies. Make sure to check out the blog next week, I know you will love the template! Oh, this zendala is very lovely and fancy! It has a quite clear and straight-line compositon! 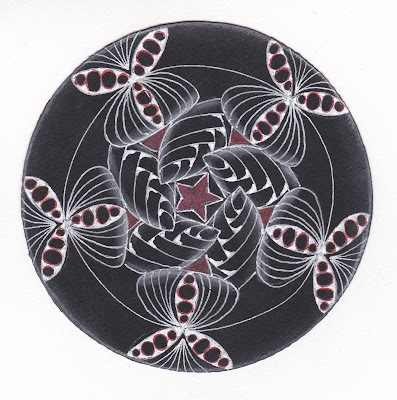 I love the way you create this zendala on tne black ground! I love this on black! That just makes a piece look so elegant. Inderdaad heel anders om om zwart te tekenen. Het is je goed gelukt, ik vind het rood er erg mooi in. Oh, I love this one done on black. Very pretty! This is gorgeous! I absolutely love the red accents. It looks so delicate. Looks nice on the black tile. 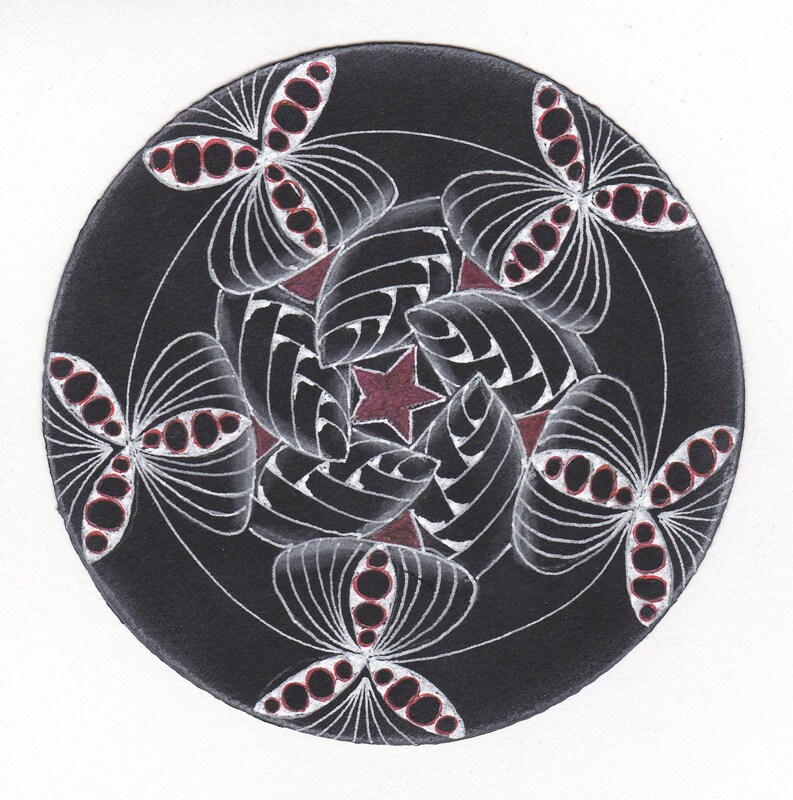 I have some but have not tried the black zendala tiles yet.